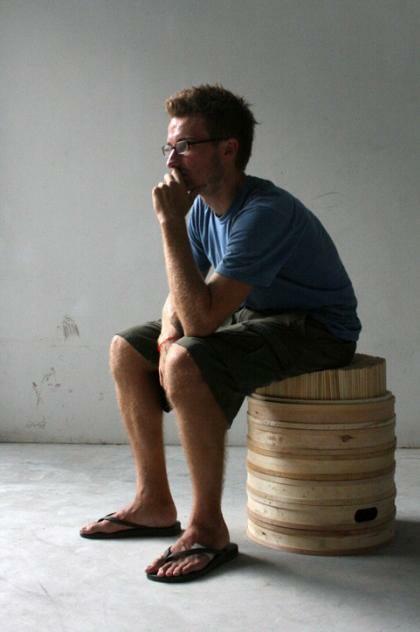 Ryan Horsman and Jason Dembski, both students at the Taubman College of Architecture at the University of Michigan, have designed the Chopstick/Steamer Stool. 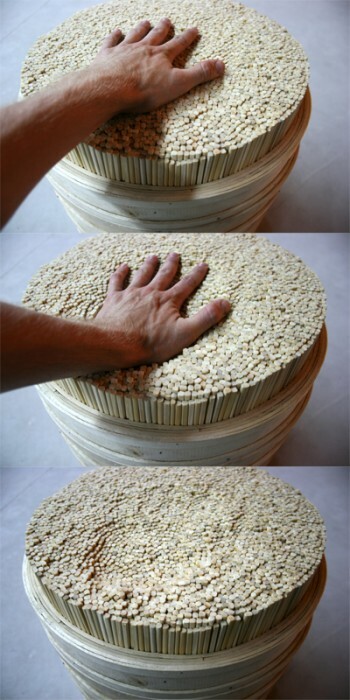 Ryan Horsman and I developed the Chopstick/Steamer Stool as part of a summer abroad program at B.A.S.E. Beijing with support from founders Robert Mangurian and Mary-Ann Ray. The goal of this particular project—taking cues from Chinese culture and its ability to make excess/waste useful—was to (re)use everyday Chinese items in new ways. 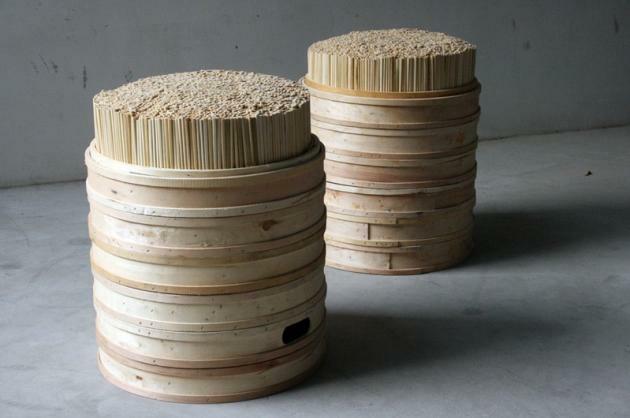 The Chopstick/Steamer Stool takes traditional bamboo steamers, thousands of disposable chopsticks and simple cushioning material, and combines them into a piece furniture. 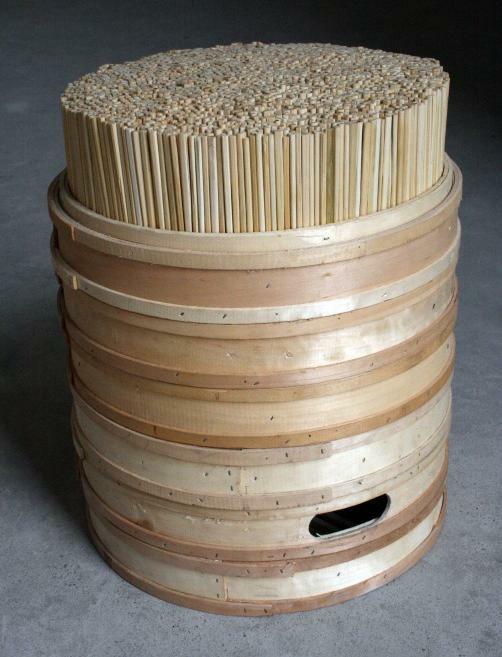 The stool uses six bamboo steamers stacked vertically and bound. Peaking out of the top steamer is thousands of disposable chopstick—accumulated in less than a year by a ‘one child policy’ family—packed together and standing on end. Serving as a middleman between the steamers and the chopsticks is a basic cushion. Although foam is ideal, the cushion could be made of anything from an old rickshaw seat to a pile of rags. The cushion allows the chopsticks to move independently under pressure and prevents them from falling through the steamer racks. When combined in this way, these fundamental Chinese items form a deceptively comfortable stool which can reasonably be made without spending a single yuan. Visit Jason Dembski’s website – here.